The Octopus’s Garden Now Offers Custom Off Premises Catering! In addition to offering our entire menu for takeout, we now offer full custom event services. Meet with our talented chefs to create the perfect menu for your next event. 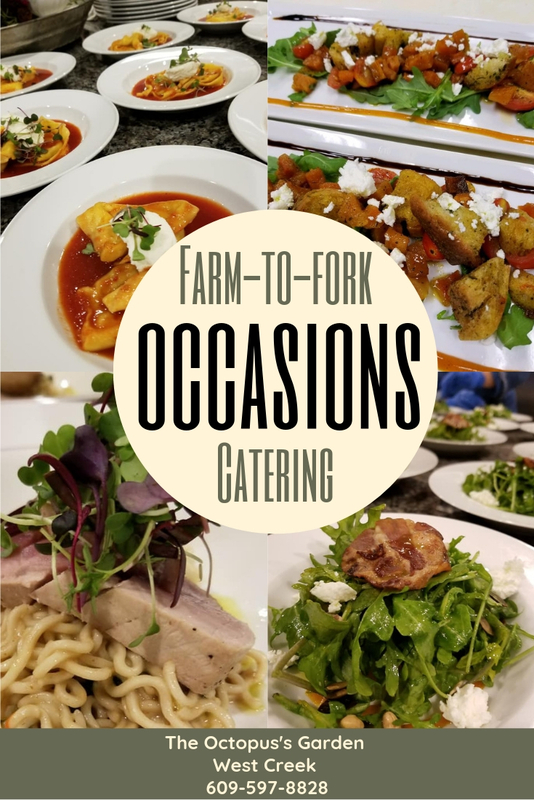 We will work with you to personalize a flavorful menu to meet the needs of any events or occasions, tastes, preferences, and dietary needs. Our catering services have you covered, from party platters to five course meals. We will bring anything your event may require to the location of your choosing, whether it is a dinner party at your home or a birthday party in the park. Our hard-working, professional staff is available to make sure your occasion is a memorable one, from beginning to end. To make an appointment to discuss your event, please call Bob Schmid at 609-597-8828 ext. 1 or email: bobschmid.thegarden@gmail.com.